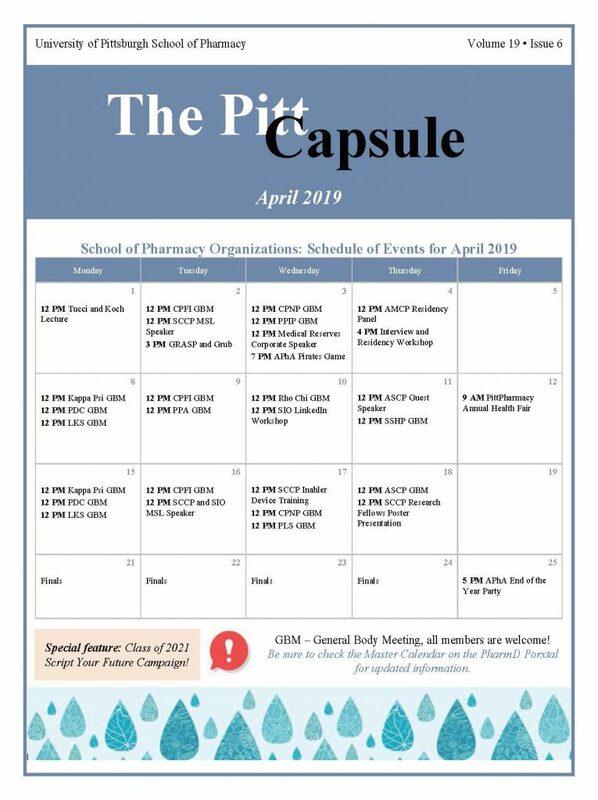 This entry was posted in Pitt Capsule and tagged PittCapsule on April 3, 2019 by rxadmn. This entry was posted in Pharmaceutical Sciences Newsletter, Publications on March 28, 2019 by rxadmn. 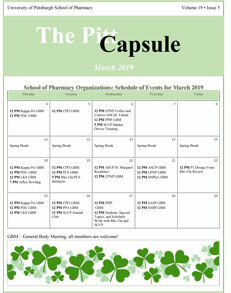 This entry was posted in Pitt Capsule, Publications and tagged PittCapsule on March 6, 2019 by rxadmn. 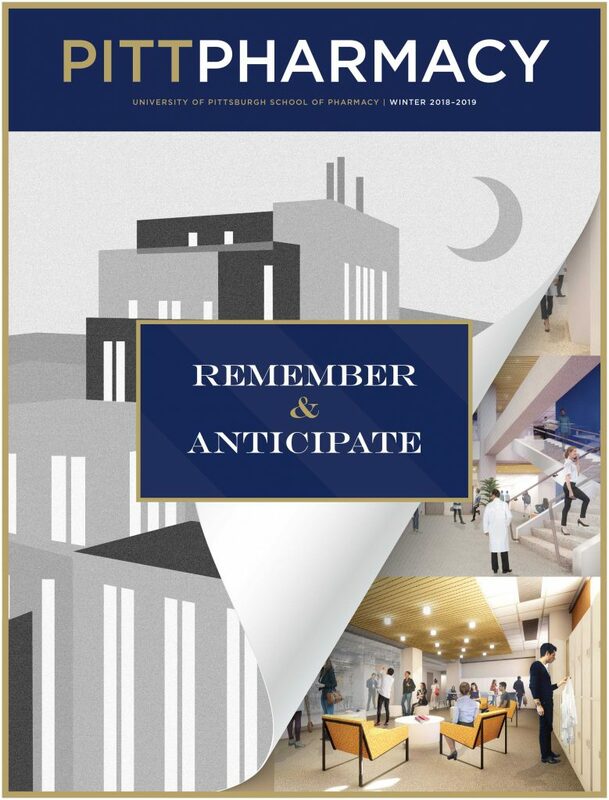 This entry was posted in PittPharmacy Magazine, Publications and tagged PittPharmacy on March 5, 2019 by rxadmn. 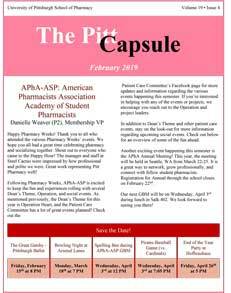 This entry was posted in Pitt Capsule, Publications and tagged PittCapsule on February 4, 2019 by rxadmn. This entry was posted in Pharmaceutical Sciences Newsletter, Publications on February 1, 2019 by rxadmn. 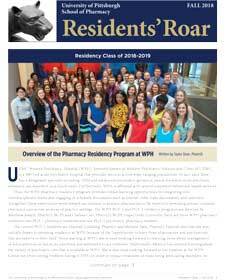 This entry was posted in Publications, Residents' Roar and tagged Residents'Roar on December 18, 2018 by rxadmn. This entry was posted in Pharmaceutical Sciences Newsletter, Publications on December 1, 2018 by rxadmn. 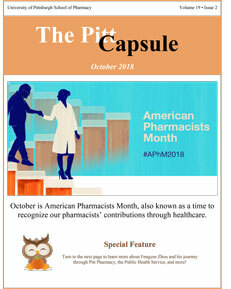 This entry was posted in Pitt Capsule, Publications and tagged PittCapsule, PittPharmacy on October 31, 2018 by rxadmn. 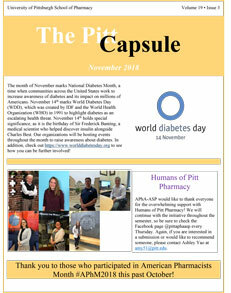 This entry was posted in Pitt Capsule, Publications and tagged PittCapsule on October 3, 2018 by rxadmn.